Sally Cameron is an amateur gardener who loves to grow a wide variety of plants in her backyard. Her love for gardening led to an interest in other green topics like conservation and environmental sustainability. You can learn more about her interest in these topics by checking out her blog, Organic Lesson. Thank you very much to Sally for sharing her wonderful blog with us. “Animals across the world contribute to the ecosystem in many different ways. 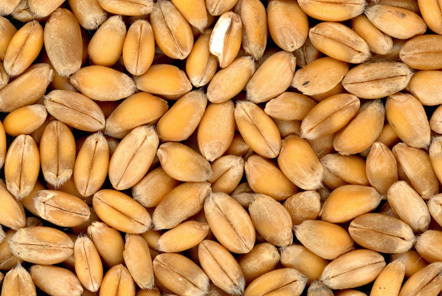 One of the more important ecological roles they serve is to disperse the seeds of plants and trees. Most will think of animals like birds and squirrels but did you know there is plenty of other interesting wildlife out there that also plays an important part in this process? 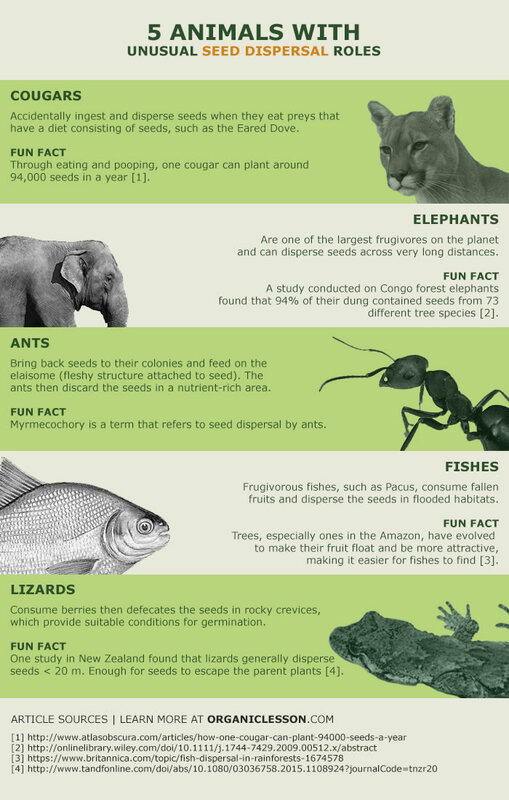 In the following infographic, you can learn about five different animals that play an unusual role in the seed dispersal process. In 2016, a study conducted by researchers in Argentina found that cougars helped spread the seeds of plants in the natural reserves of Parque Luro. 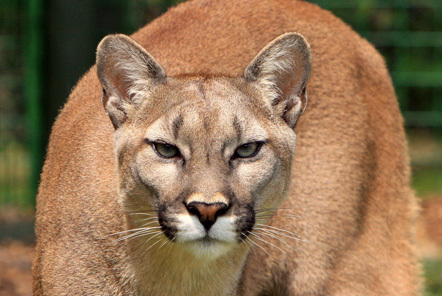 This sounds highly unusual since cougars are considered apex predators (top of the food chain) but they are able to do just that by eating their herbivore prey. In the case of cougars in Parque Luro, their primary prey is the eared doves, which feed on grass and small plants. Researchers in Africa found that 94% of the dung from Congo forest elephants contained seeds from 73 different tree species. Talk about being the ultimate gardener! 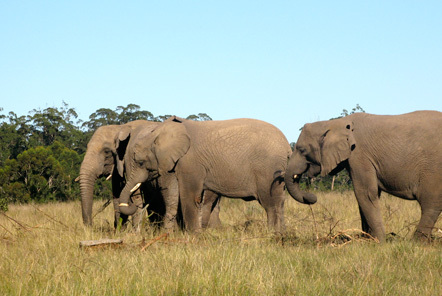 Elephants help spread the seeds across long distances. This is very important for plants living in harsh conditions because it reduces the level of competition for nutrients between the parent and the child plant. In the Brazilian region of Patanal, researchers found that fishes like Pacu help tropical plant species spread their seeds. Just like the Piranhas, the Pacus have sharp teeth that allow them to munch away at the fruits dropped by the tropical plants. Eventually, the fishes pass the waste from their body and this allows the seeds to spread inland, especially during the flooding season. If you’d like to read more of Sally’s blogs, click here. Find out more about our volunteering opportunities with animals and conservation around the world.